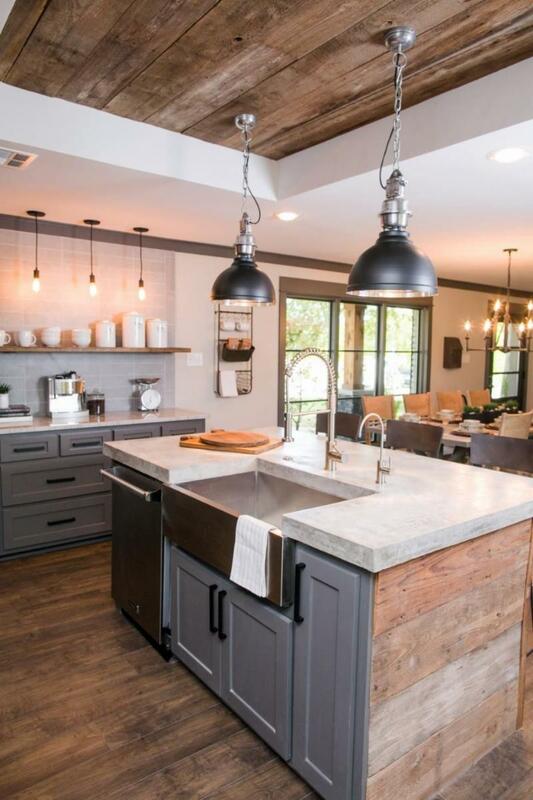 The 2019 Kitchen & Bath Industry (KBIS) show in Las Vegas last month focused a lot on color. It appears, very much like in clothing styles, anything goes. They used color and texture in faucets, sinks (remember the black powder rooms? ),cabinet doors and appliance panels. Sinks were plum, blue and gray. Mixed metals were once again the norm, and mixing modern with traditional, with a big emphasis on brass was featured in many showrooms. 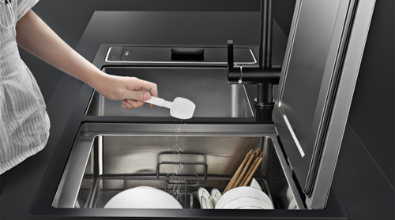 This space-saving appliance is a mini dishwasher that fits into a counter and is next to the sink for easy access. This dishwasher can do loads in less than 30 minutes and can also be used to chill seafood. This faucet provides pure-tasting boiled, chilled or sparkling water instantly. 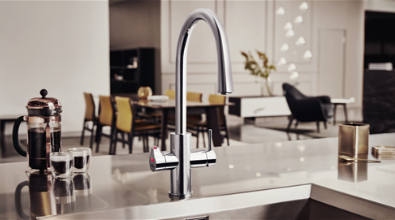 HydroTap is available in six designs and 12 contemporary colors. 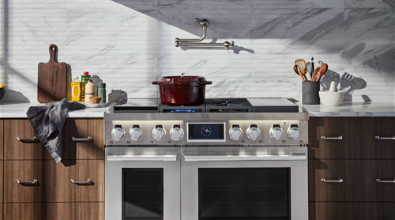 Also named the 2018 KBB Kitchen Product of the Year in our Product Innovator Award competition, this 48-inch Pro Range is the first pro range on the market with built-in sous vide, induction and gas, all on the cooktop.